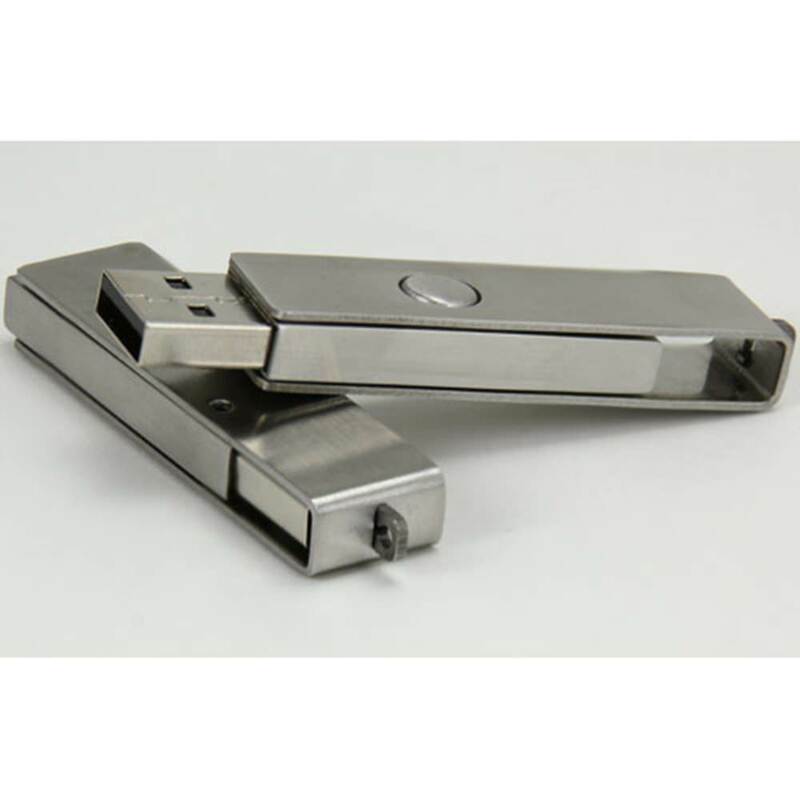 This all-metal drive is as tough as it looks, with a steel body and metal shell to match. 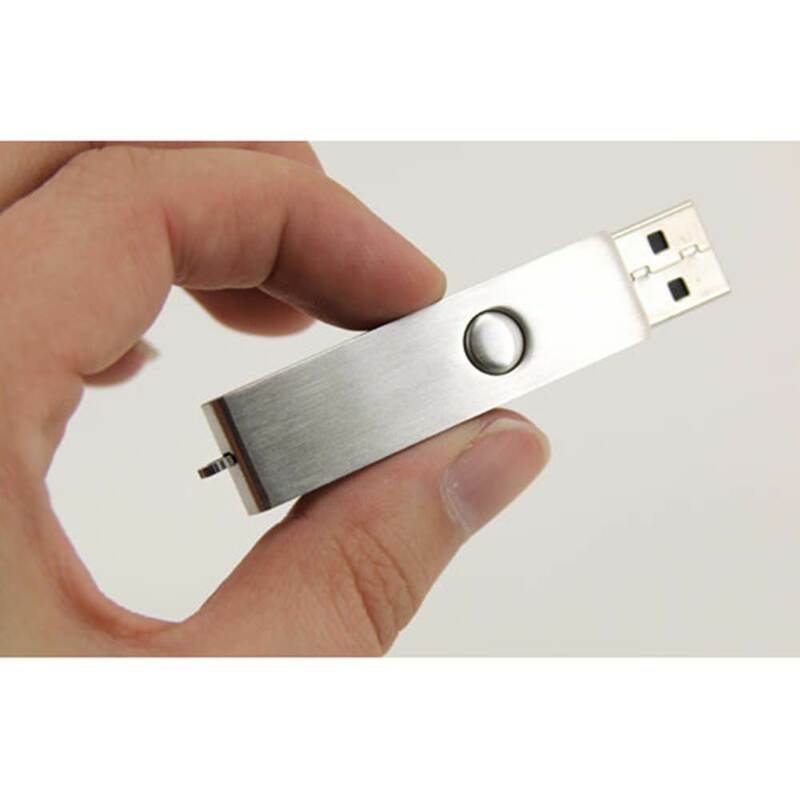 When you need to get tough on your sales numbers, turn to the Blade Metal Swivel promotional USB drive. It’s as tough as it looks and performs just as well, if not better. It’s an eye-catching freebie suitable for conventions and tradeshows, or corporate gifts due to its sturdy appearance and reliable performance. 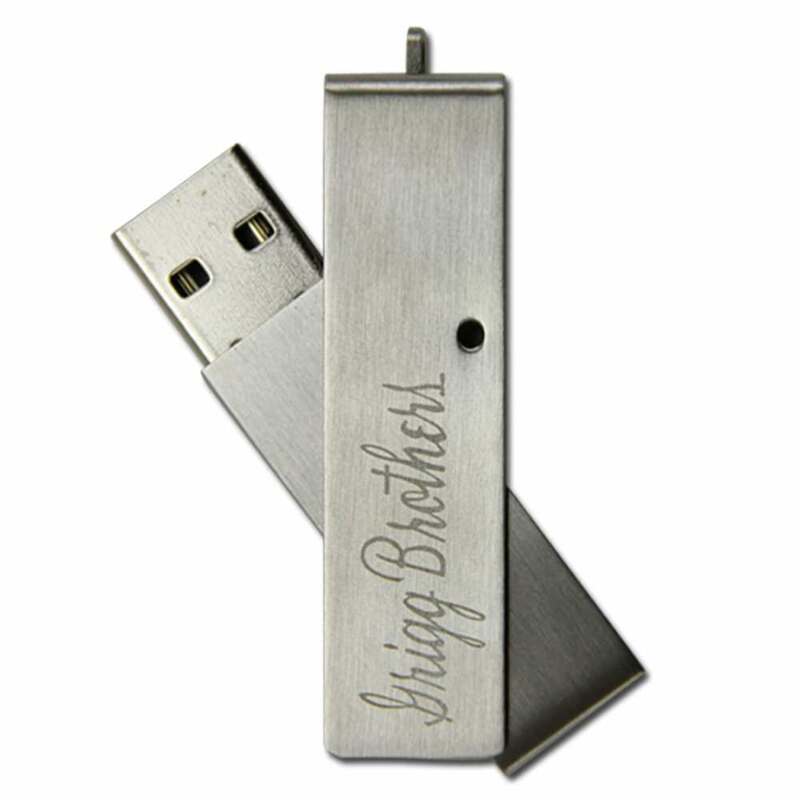 It can be either laser engraved or silkscreen printed with your logo that will shine along with the metallic body. 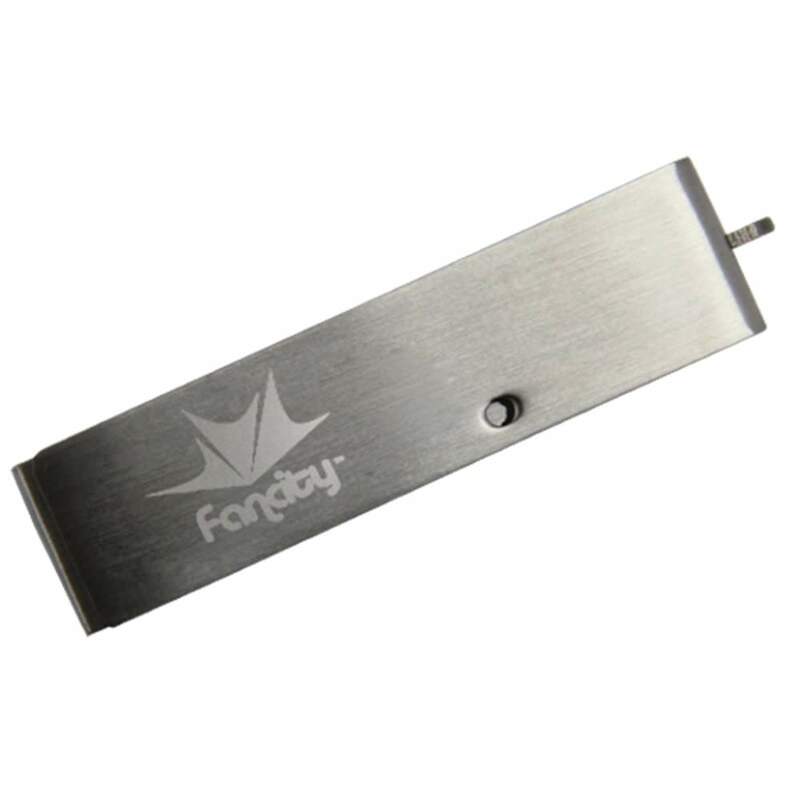 The swivel mechanism protects the USB port. 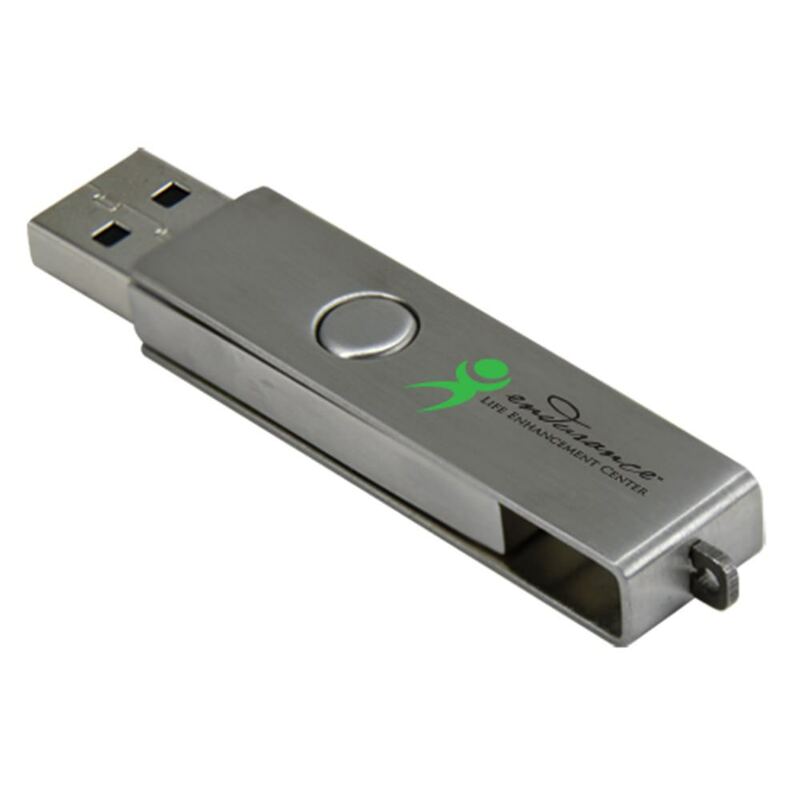 Choose between USB 2.0 or 3.0 and a wide variety of storage capacities to suit your target audience.